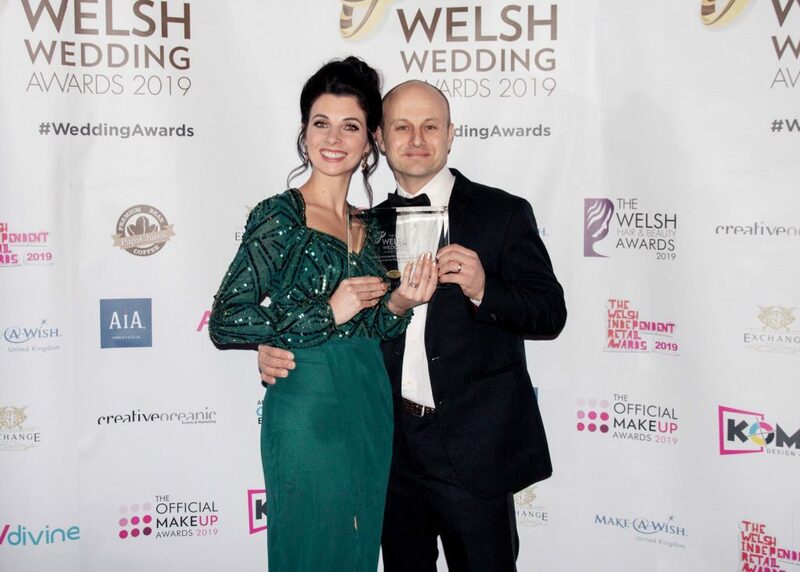 Love Fascinators beat off stiff competition to pick up the award for Best Wedding Accessories provider accolade at the Welsh Wedding Awards for the second year running. The awards recognise and reward those within the wedding industry who go the extra mile to make a wedding day perfect. The family-run business offers a range of fascinators and hatinators available for online purchase, at various outlets in Powys and at their Llanidloes showroom. The winners of the Welsh Wedding Award 2019 by Oceanic Events were announced following a glamorous ceremony that took place on Wednesday, February 20, at The Exchange Hotel in Cardiff. More than 250 wedding specialists and suppliers travelled from every corner of the country to celebrate the very best of the industry. The star-studded evening was hosted by radio-broadcaster, Polly James. She presented the winners, as chosen by the public and congratulated them. A Welsh Wedding Awards spokesperson said: “It is safe to say that it was a memorable and inspiring night, reflecting the professionalism and talent that flow within the Welsh wedding industry. “The awards provided the opportunity to acknowledge the champions of this sector, who know how to make our wedding an unforgettable experience.